Source of protein and fibre. 146 kcal. Perfectly portioned. Nutritionist approved. No artificial colours, flavours or preservatives. Vegan. 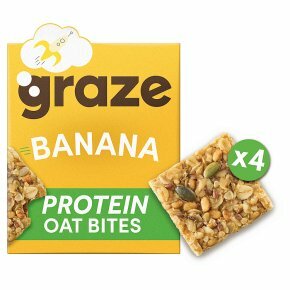 We've given our popular flapjacks a protein upgrade, combining the sweet flavour of banana with whole rolled oats and mixed seeds. The result is this delicious pocket-sized pick-me-up!